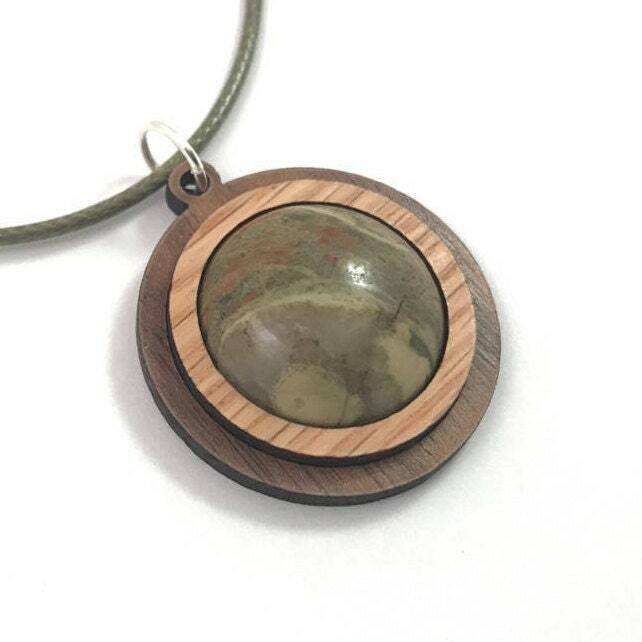 Made in State College, PA, this pendant is made of sustainably harvested natural Oak and Walnut, with a 20mm genuine Unakite cabochon securely set between the layers of wood. 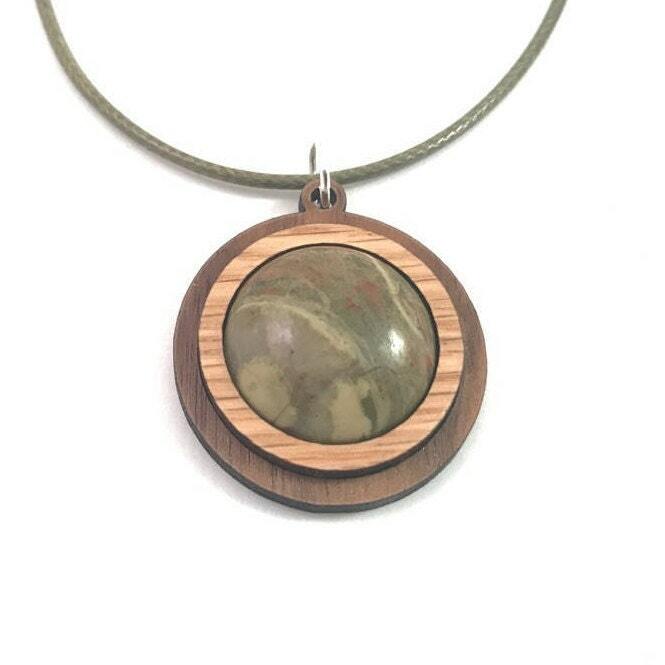 Unakite is a type of Jasper that is known to enhance love, compassion and kindness, and to balance emotions. It is named for the place it was discovered in North Carolina, USA.